Paul, Bill and Muriel Smith are the family team behind "Going-Golfing.com," the highly successful golf co-ordination business based in the south of Tenerife. Before deciding to move to Tenerife, in 2001, the family ran a fishing business in the town of Arbroath, on the east coast of Scotland. They spent 30 years building the business, specialising in the famous Arbroath Smokie. Bill is a Past Chairman of Arbroath round table and was in table for many years Muriel was also Chairman of Ladies Circle and enjoyed her years both with local and Area events. Now in Tenerife, and passionate about golf, the family still offer the same friendly service as they did all those years in Scotland to their customers here in Tenerife and within the Golf Community. Going Golfing are the Canaria’s largest discounted green fees website on the net. We aim to have your booking form to you with in 4 days of receiving your booking forms or as fast as we can do them. All e-mail will we answered by us within 3 hours of receiving them within working hours. Are you really wanting to make a holiday out of your golfing? 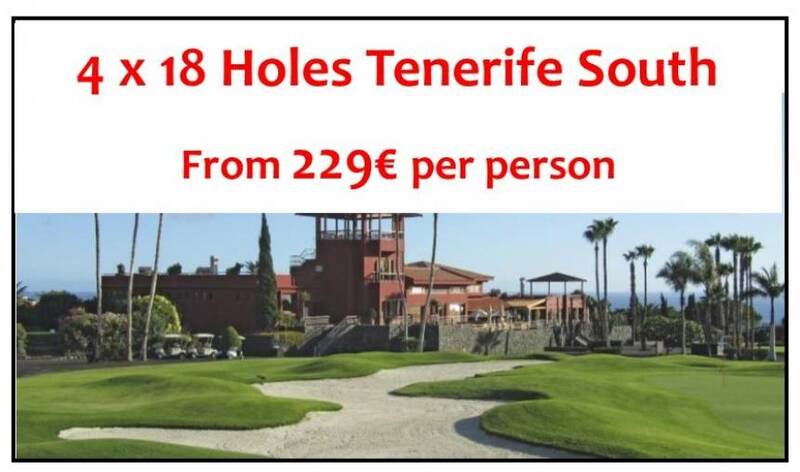 If so then Going Golfing Tenerife offer the unique, tournament organisation package! Play your own Mini PGA Tour around Tenerife's best golf venues, we can arrange everything, green fees, tee times, transport and even a presentation ceremony that includes a sit down meal, entertainment as well as your own customised trophy! Choose the venues you wish to play, we'll do our best to book the venues and times you want and get everything in place for you to have fun golfing holiday. Group size is no object, bring as many or as few as you like, though we will require more notice for larger bookings as tee-times are at a premium. We look forward to arranging your every golfing need!